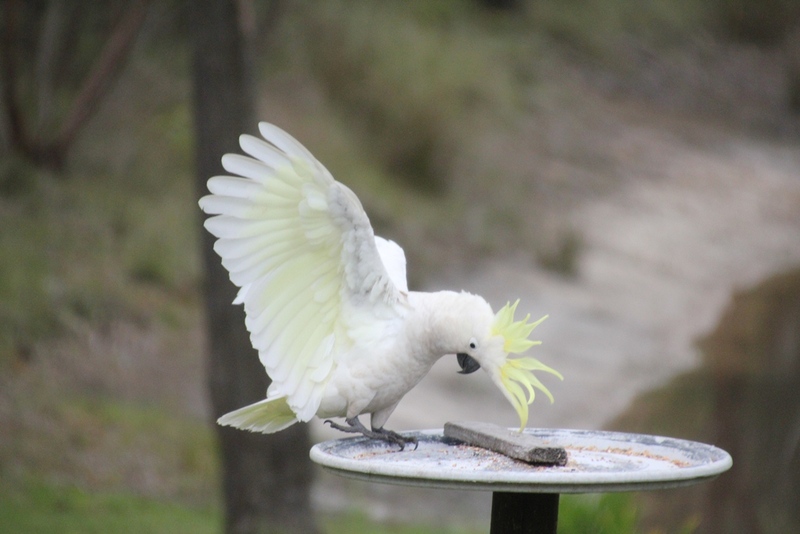 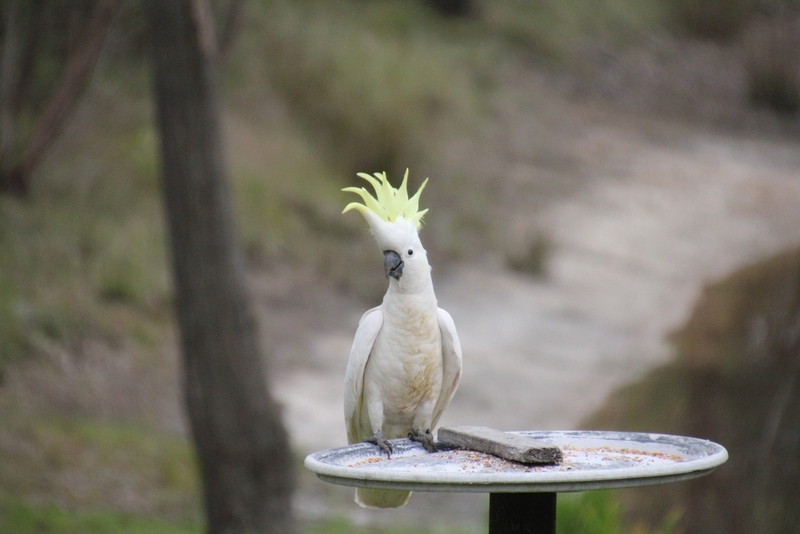 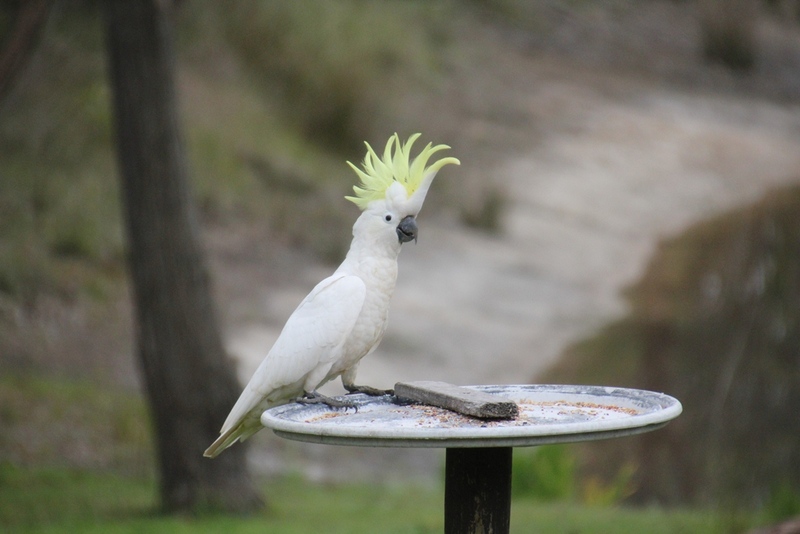 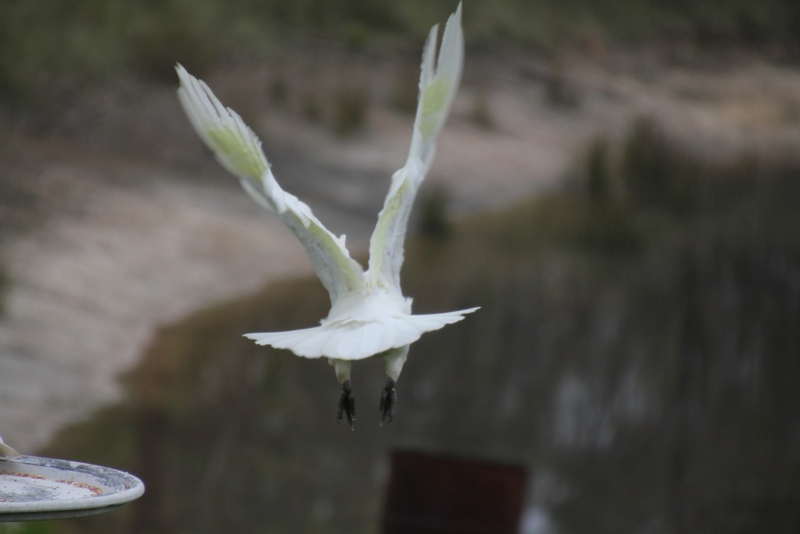 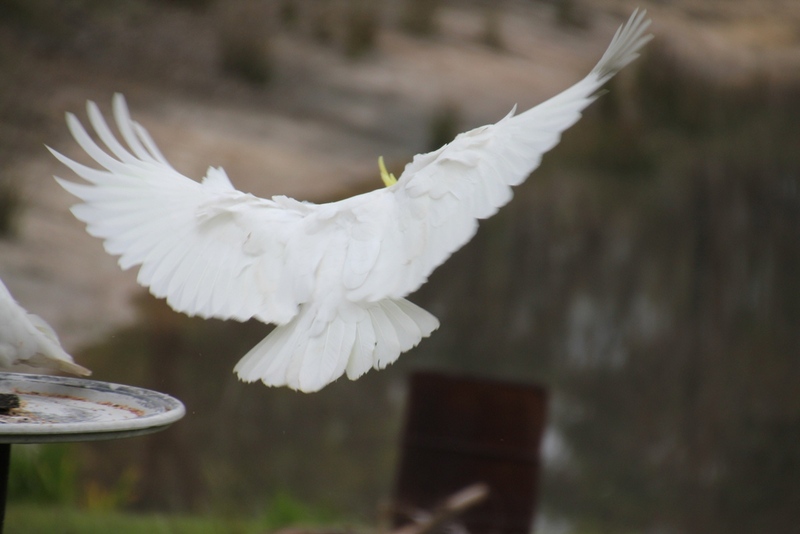 Ever since we moved in, we have had one or two Sulphur Crested Cockatoos visit us on a daily basis. 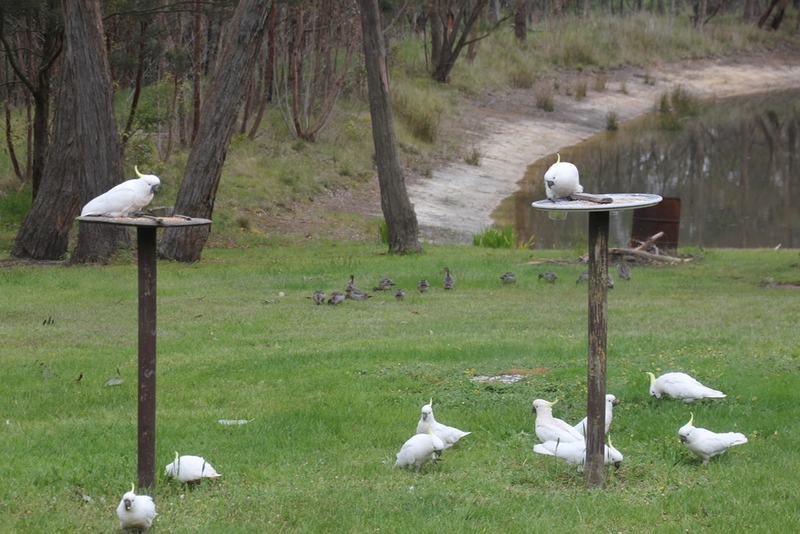 Recently, a larger flock has started to drop in each day. 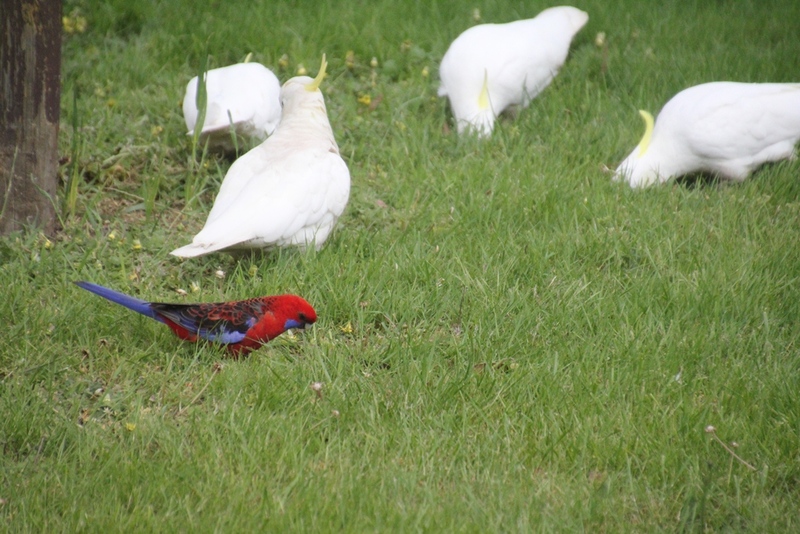 As they jostle each other for the best grazing patch, they seem to enjoy launching into flight and raucously calling to each other. 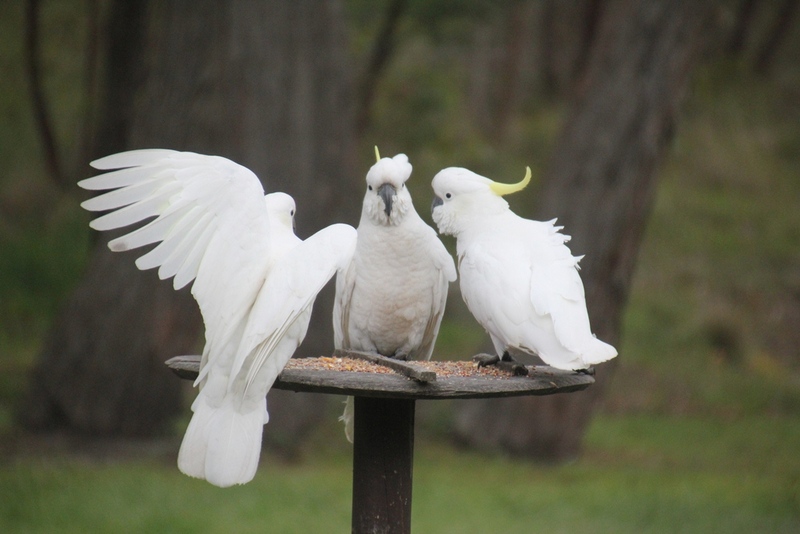 These birds are really noisy, but lots of fun to watch. 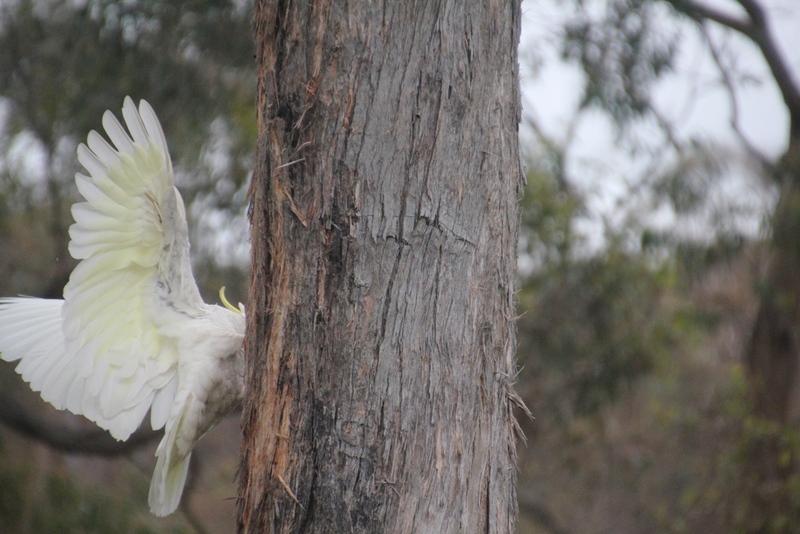 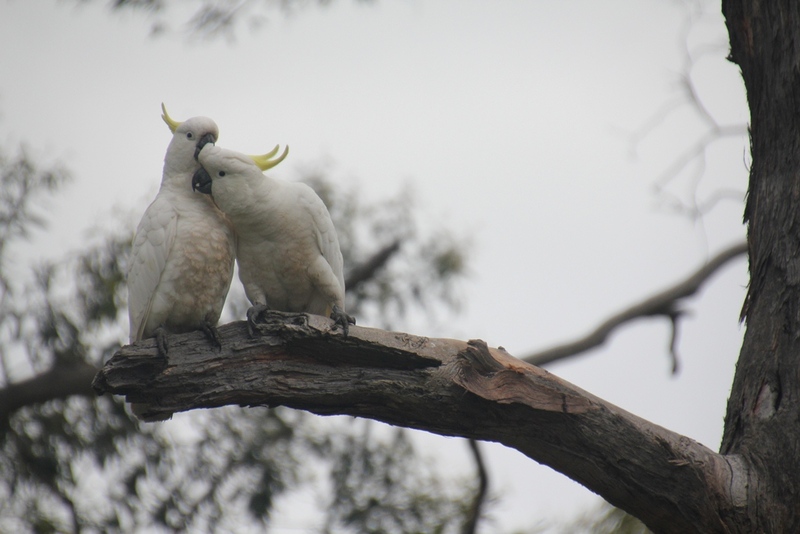 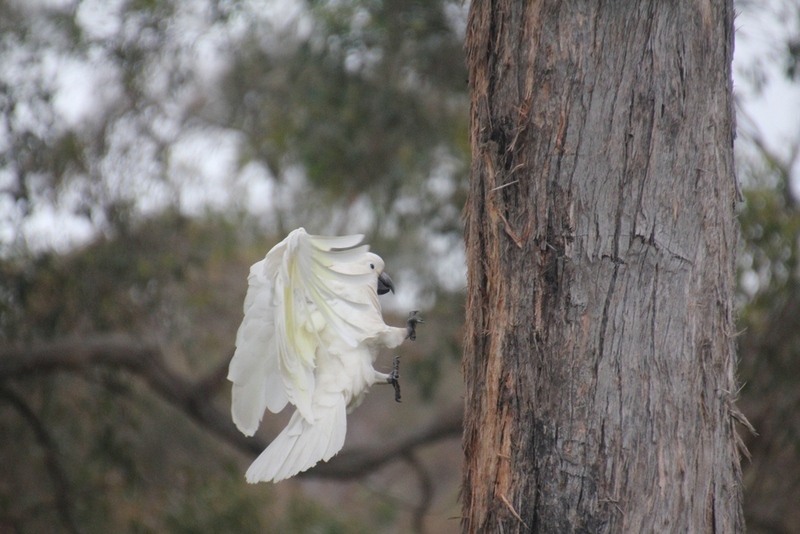 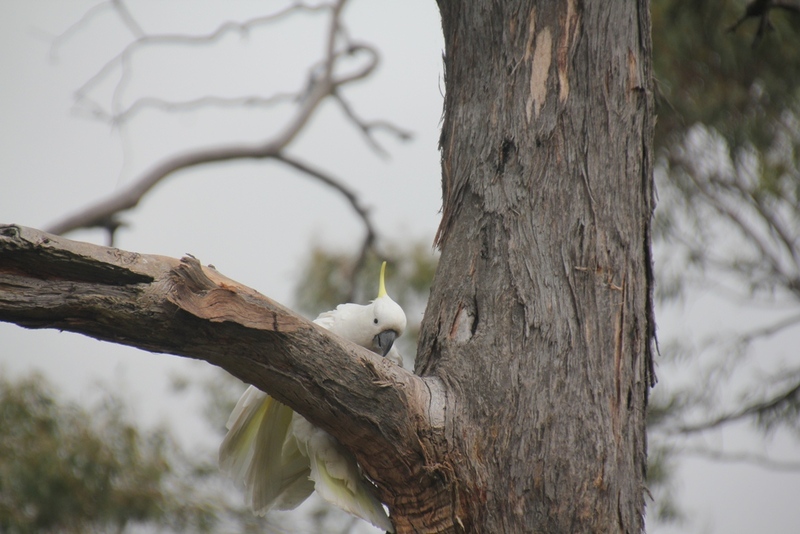 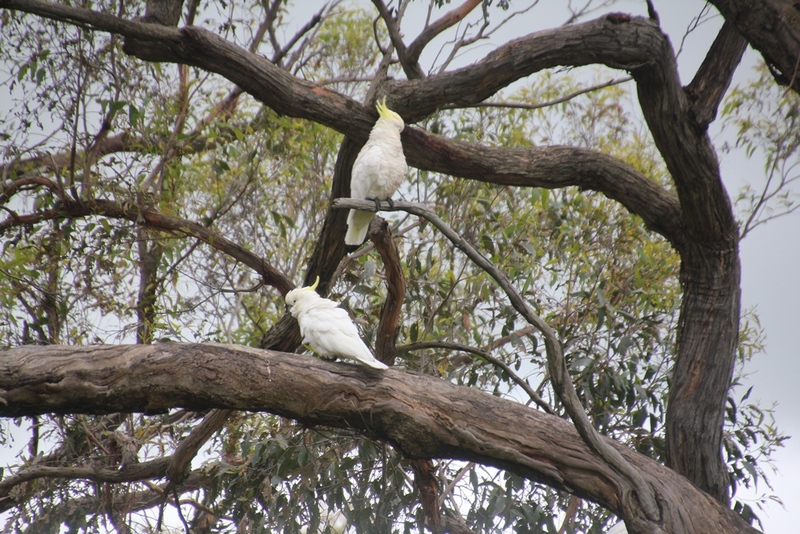 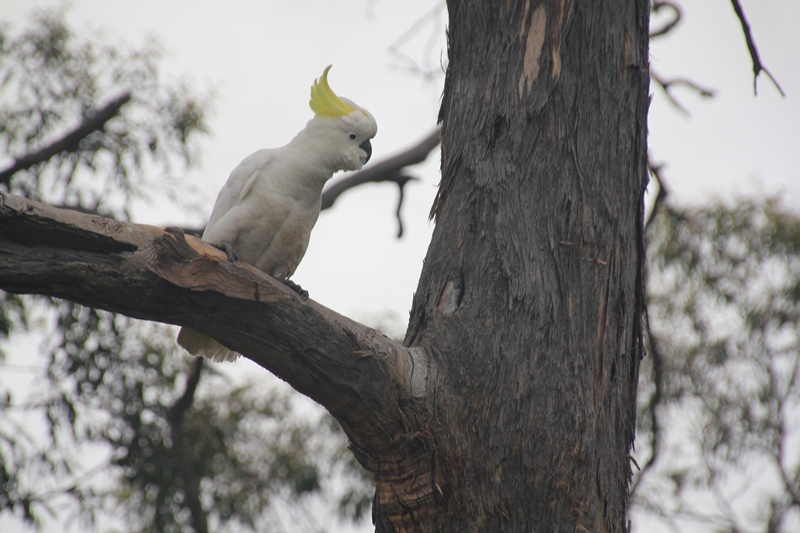 These two cockatoos sat on a branch grooming each other for more than 15 minutes.